Our Events Social Sharing add-on for Event Espresso 4 will allow your registrants/attendees to tell friends about their registration by sharing a message on social networks like Google +, Twitter, and Facebook. 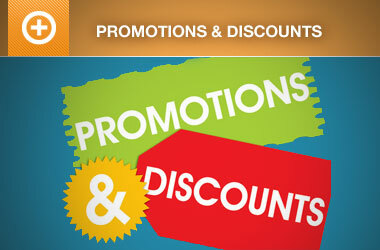 This is a great way to add some social proof and get the word out about your events. The Events Social Sharing add-on is a WordPress plugin and can be installed through your dashboard. You can purchase it today from our store. 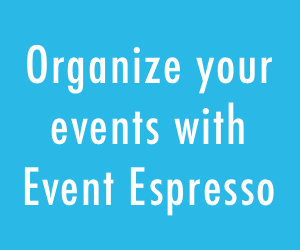 What version of Event Espresso is this add-on compatible with? The add-on is compatible with Event Espresso 4.4.4 and up. How can I change the heading? 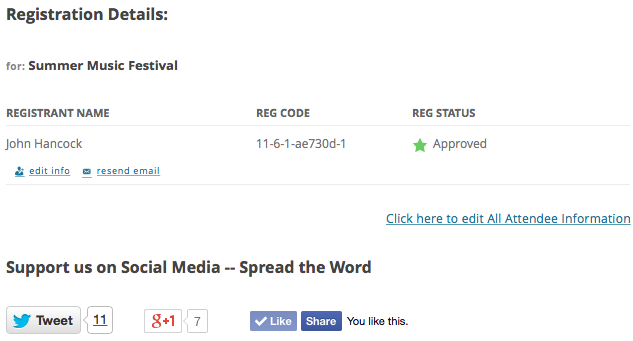 Yes, this can be done using a WordPress filter and an example is available on our documentation page for the Events Social Sharing add-on. Can I customize the tweet message for Twitter? Yes, this can also be customized by using a gettext filter and an example is also available on our documentation page for the Events Social Sharing add-on. Will other social networks be available? The initial release of the add-on supports Twitter, Google +, and Facebook. We will introduce other social networks in a future release of the add-on. Have a question about the add-on or need help with Event Espresso? Create a support post in our support forums and we’ll be happy to help you. 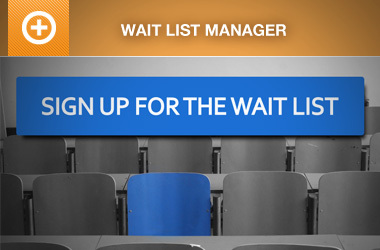 Need to Buy a Support License for the Events Social Sharing Add-on? This is exactly what we wanted! I would love if you would add to the post how someone can add this on, i.e. : “How do I get started?” and explain where a user can purchase it. Why not developed for EE3 too? You have so many good EE3 functions that are not compatible with EE4 so upgrading doesn’t seem possible.